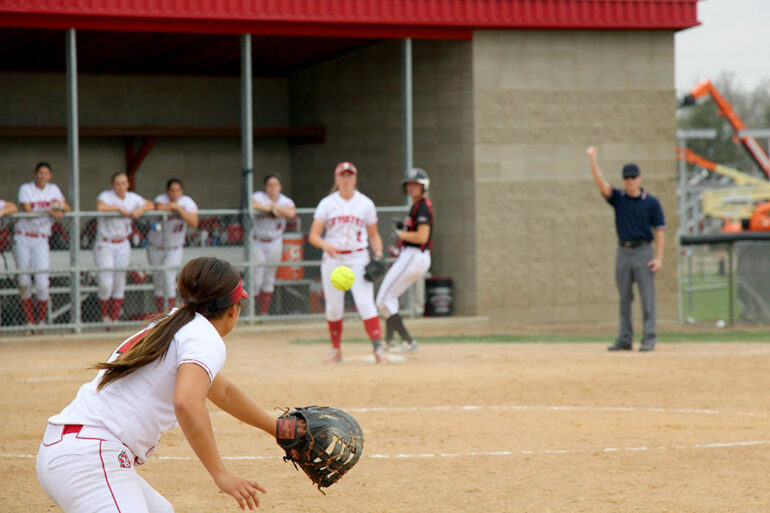 After facing adversity and getting off to a slow start at the beginning of the season, the University of South Dakota softball team is heading in the right direction — and has the stats to prove it. In the last eight games, the Coyotes have scored 28 home runs. But it’s not just the hitters who are stepping up, said head coach Amy Klise. After a string of tough games toward the beginning of the season, the Coyotes are using that to fuel themselves forward in conference play. Around the time the conference season started was when the team kicked into a higher gear, said junior first baseman Yvon Minogue, who recently broke the school record for doubles hit in a single season. That success is something Klise has seen coming over the course of the season. Looking forward, Daly said the Coyotes, now 17-22-1 overall and 8-3 in conference play for second overall, are continuing to rely on each other’s energy to keep them motivated to finish out the season.